The dreaded arranged marriage interviews scare even the most extroverts of the lot. The whole set up- lavish spread on the table, tea slurping parents with inquisitive eyes and the palpable awkwardness in the air- it is enough to break anyone into nervous sweats. 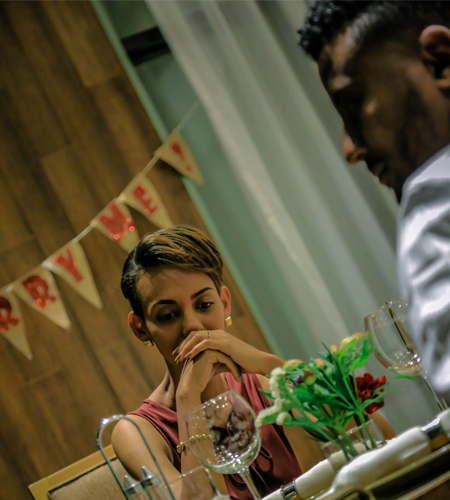 If you are an introvert wondering how to get over the shyness and get through the first arranged marriage meeting, this article is for you. 5 steps to convert the nervous chills into brimming confidence! When you are comfortable, you automatically feel confident. Mega designers like Coco Chanel and supermodels like Naomi Campbell, all advocate carrying a comfortable style of your own to make you feel well assured of yourself. Choose clothes with soft fabric and ditch those stilettos if you can’t walk in them without stumbling. The key is to feel at ease, so that, the focus is on the meeting instead of feeling stuffy in uneasy wearables. 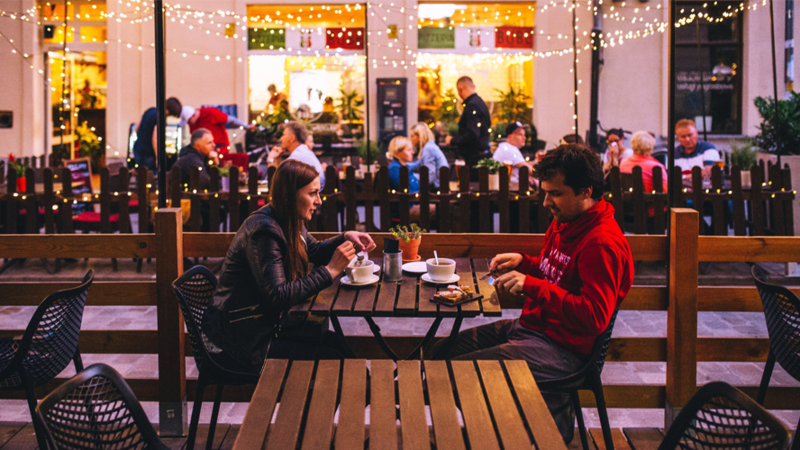 Choose a place with warm ambiance where you both can talk comfortably. Nobody is infallible, so stop being hard on yourself thinking about rejection! The biggest reason, the majority of prospective brides and grooms fear first meeting, is the fear of rejection. Think the other way round. How can you be sure that you’ll end up liking the other person? Stop considering it as a job interview where the other party is an employer. It is a platform offering equal partnership to both. Your opinion is equally important. Self-assurance is the key to confidence. Remember, a person at peace with the inner self is unbeatable. Find peace inside by not focusing on the outcome and enjoying the whole process instead. If the meeting is successful, you’ll have a wonderful partner. In case it isn’t so, well you will definitely have a fun memory to recount in front of your friends. It’s a win-win!! We just can’t stress this point enough. Happy, nervous, tensed- smile in all situations. It is the major ice breaker when meeting someone new. Realize it or not, the other person is just as nervous as you and a genuine smile of yours helps him/ her too. Even science backs this claim, smile releases endorphins- the feel good hormone that reduces stress significantly. Remember the tip Sanjay Dutt gives Urmila, moments before she meets her prospective groom, in the movie Khoobsurat? He asked to smile whenever she felt nervous. It wasn’t a hogwash, and indeed holds true! Yes, first arranged marriage meetings aren’t an exam. But it doesn’t hurt to do a bit homework and be prepared well in advance. Spend a day or two reading first meeting stories on the internet and prepare a question bank for yourself. Knowing what questions to expect in the meeting is like having a cheat sheet with you. You’ll have enough time to come up with answers, and also, get pointers on what you can ask. You read it right! There are professionals who can help you in overcoming shyness. Image consultants, behaviour therapists and soft skill trainers, with expertise in their respective fields, have helped millions of people in fighting their fears. They assist you in preparing for the meeting, improve your communication skills and flaunt a confident body language. They help you improve appearance through an image makeover. While it is the soul that matters and not what’s on the outside, better appearance is solely for you. It helps you feel assured and confident. Follow these 5 steps and nail your first meeting! Have an interesting story to tell about arranged marriage meetings? Comment below.